The longest running trial in California with 50,000 pages of trial transcript, 150 witnesses testifying, over 2000 reporters covering the trial and more than 142 million people tuned in when the verdict was delivered, it was indeed the Trial of the Century. His infamy dwarfed his fame and made him the most talked about criminal defendants in the history of the United States. His legal defence team – one of the most expensive defence teams ever – comprised of 11 lawyers whereas 25 lawyers at the largest prosecutor’s office in the country worked day and night to ensure that the high profile accused landed in prison, convicted. It was one of the most publicized criminal trials in the world and also the longest ever in California. It was called the ‘Trial of the Century’. It was the O.J. Simpson trial. The trial transcript ran into 50,000 pages, 150 witnesses testified, the jury was sequestered at Hotel Intercontinental in Los Angeles for nearly 10 months from January, 1995 to October, 1995, around $20 million were spent between the prosecution and defence. When the final verdict was pronounced, over 142 million people watched on television or listened on radio. 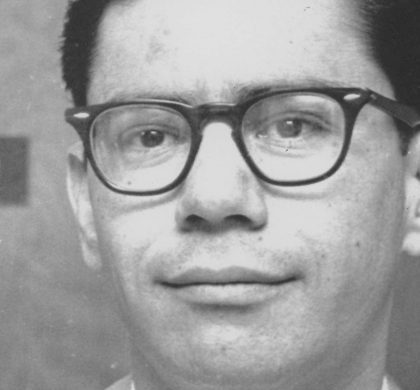 Over 2000 reporters covered the trial and thousands of newspaper articles were written with Los Angeles Times alone publishing more than 1000 articles during the trial. More than 80 books have been written on the Simpson trial by virtually everyone who played any role in the trial. On June 12, 1994 the neighbours came across the blood-soaked bodies of Nicole Brown Simpson and her friend, Ronald Lyle Goldman at around 11:00 p.m. At 12:13 am the first LAPD car arrived at the scene. 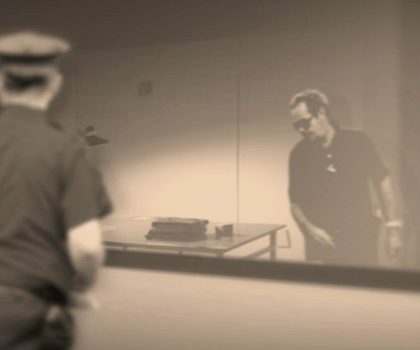 From that moment onwards every single step that the police and the investigators took in discharge of their duties was closely monitored to be ripped open later for a threadbare courtroom discussion by Simpson’s defence team. 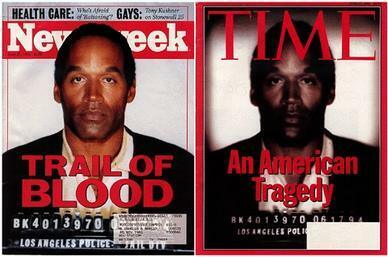 The investigation resulted in Nicole Brown Simpson’s former husband and a famous American Football player, O.J. Simpson’s becoming the prime suspect. The case was simple for the prosecution. To them Simpson was guilty and the conclusion stood supported by “a mountain of evidence”. Simpson was not kind to his wife and had abused her and beaten her up on several occasions, which sometimes resulted in her calling the police for help. When they got divorced, he was insecure and could not stomach the fact that the 18-year-old he had married and given the world too had grown so independent as to find her happiness elsewhere on her own. A knife of the kind used to kill Nicole and her friend was purchased by O.J. Simpson a few days before. One of the gloves with the blood of the victims on it was found on the crime scene and the other at Simpson’s home. Simpson had the same shoe size as the footprints found near the crime scene, and then there was his blood all over the place with some of that blood mixed with the blood of the victims. 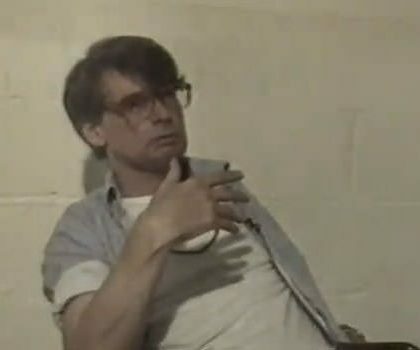 Simpson had a reason to kill, and also the means and chance with no alibi to support his plea of innocence. Prosecution, with that kind of evidence, did not think they would face any problem getting Simpson convicted. And then, too many things went wrong in quick succession. 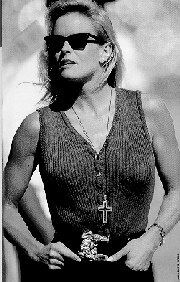 Nicole Brown Simpson died at the age of 35. She was a tall, very attractive blonde. She worked as a waitress at a Beverly Hills nightclub called “The Daisy”, which is where she met O.J. Simpson, who was 30 then while she was 18. Simpson was married and had a family. Eight years later he divorced his wife and married Nicole on February 2, 1985. She moved in with Simpson and the marriage looked good on the surface with two kids. But with Simpson getting violent with Nicole as early as 1985 itself when she was pregnant with their first child, the rot had already set in. By the time the murder trial began the prosecution had managed to put together a list of 62 separate incidents of physical and mental abuse. Eventually, the marriage broke down and the duo were divorced in October 1992, after which Nicole moved into a rented property together with her children a few hundred yards from South Bundy Drive on Gretna Green Way. The cause of domestic strife between the Simpsons generally was O.J.’s messing around with other women. Strangely enough, according to Nicole’s mother, a month before Nicole was killed, O.J. 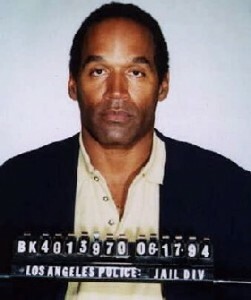 told Nicole, “If I ever see you with another man, I’ll kill you.” O.J. Simpson was, therefore, a suspect right from the beginning of the investigation. On the day Nicole and her friend, Ronald Goldman, were murdered she went to a dance recital at the Paul Revere Middle School in Brentwood with her children and the Brown family together with some friends. O.J. Simpson was also part of the audience, but did not interact with Nicole and her group. Later, Nicole and her companions went to the Mezzaluna Trattoria, an Italian restaurant on San Vicente Boulevard in Brentwood, where she introduced everyone to Ronald Goldman, a young man who worked as a waiter at the restaurant and was also a part time model with dreams of making it big as an actor someday. He had met Nicole in a gym and they were good friends. It is noteworthy that it has never been suggested that they were more than friends despite the fact that Nicole had had quite a number of short term affairs after separating from Simpson. Nicole and her companions, which included her mother, Judith, finished dinner at around 9:00 p.m., and went home. Judith had left her eyeglasses behind, which were found by a staff of the restaurant. Nicole called Goldman regarding the eyeglasses, and Goldman agreed to drop the glasses at Nicole’s place after the shift. After the shift got over, Goldman drove down to Nicole’s condominium in a borrowed car to drop the glasses never to return alive. Considering that Goldman stood over six feet, possessed a gym-built physique with high level of fitness and was also good with martial arts, the way he died was quite unlikely. He was pulled up and tossed around like a stuffed toy before being stabbed and slashed with brute force mercilessly. The killer in his mad rage had effortlessly brushed aside any attempt at self defence that Goldman might have made. He had six wounds on his face and neck with many more on his body with a total of 19 of them, out of which four were lethal penetration wounds. Nicole, of course, had slimmer chances against the crazed killer. She had sustained four deep penetration wounds. One of them was a deep slash across the neck that left her almost decapitated. O. J. Simpson looked guilty right from the start and the jury trial in the case of People of the State of California v. Orenthal James Simpson commenced on January 23, 1995. The Prosecution was lead by Marcia Clark, and the Defence by Johnnie Cochran, who did not fail to remind the largely black jury in the opening statement itself that the jury was the conscience of their community and had to go back to live where they came from. Cochran’s case was that Simpson was being framed by a prosecution that was obsessed with success. “This case is about a rush to judgment, an obsession to win at any cost,” he said. The evidence, Cochran told the jury, was “contaminated, compromised and ultimately corrupted”. Cochran said that Simpson was practicing golf in his front yard when the murders took place and also suggested that the police had planted evidence to implicate Simpson. The Defence argued that not only was Simpson innocent, but was a victim of scheming police with an ambitious prosecution thrown in to make matters worse for him. When Christopher Darden replaced William Hodgman after the latter collapsed on January 25, 1995 in the Criminal Courts Building, it was thought by many that Darden being a black could stall any move on part of the Defence to play the race card, but Darden, as per his own account, could not prevent the Defence from mounting a successful assault on justice. The Defence questioned the method of the investigation, and also the integrity of the officers involved. Cochran grilled Lange Detective Tom Lange on LAPD’s failure to investigate the alternative motives of killing, like drugs. Of course, neither the Defence, nor the Police could find any drug connection, but the Defence wanted to instill a doubt in the minds of the jury members. And he did succeed. 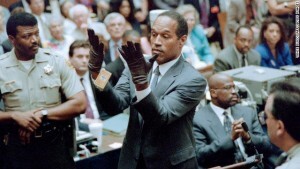 The gloves could be clinching evidence because they were expensive and few of them were sold with one of those ironically bought by Nicole herself for Simpson. However, new gloves of the same size and make could fit Simpson, but the gloves in the evidence did not fit Simpson when he was asked to put them on in the courtroom apparently due to the moisture absorbed by the gloves that shrunk them a bit. Despite the explanation and the damage control done by the Prosecution, the damage done could not be reversed. The presence of EDTA, a substance used to preserve blood, in the blood on the socks recovered from Simpson’s home brought the evidentiary value of the recovered blood stained into question. The credibility of all evidences was successfully assailed in a similar fashion introducing doubt in the mind of the jury members. In the closing statement Cochran played the race card as best as he could. On October 3, 1995, the jury found O.J. Simpson ‘not guilty’. Originally written for and published in LAWYERS UPDATE as part of Crime File series in June 2011.